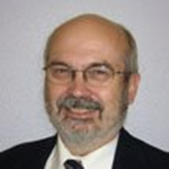 Bill Kleinebecker is an IncubatorCTX mentor and active member of the Concordia University entrepreneurial community. Kleinebecker is a Senior Technology Management Consultant at Strategic Pathways, where he gives time to organizations as they “give birth to emerging technology.” He also serves as the Program Chair for the Technology Advisors Group in Austin, Texas. Kleinebecker was previously a Senior Researcher for SocialCare by Health Symmetric Inc, a Program Manager dealing with Strategic Futures and Insights at HBMG, a Senior Consultant for Technology futures, and the Program Chairman for the Austin Software Council. With extensive experience as a technology management specialist, he uses unique tools that increase the value of a technology portfolio through identifying high value use cases with must-meet requirements, surveying the landscape for both companion and competitive technologies, and sizing the market for the portfolio. He believes that technological innovation creates the greatest value and that creating a culture of innovation is an organizational imperative. He holds a Bachelor’s Degree in Electrical Engineering from M.I.T. and a Master’s Degree in Industrial Management from M.I.T. as well. Bill Kleinebecker believes that technology needs to be managed in an organization like other assets such as personnel, money, customers, information, and funding. With substantial experience in technology management in companies and organizations, Bill is a great resource for IncubatorCTX members.